The Levy's Original No. 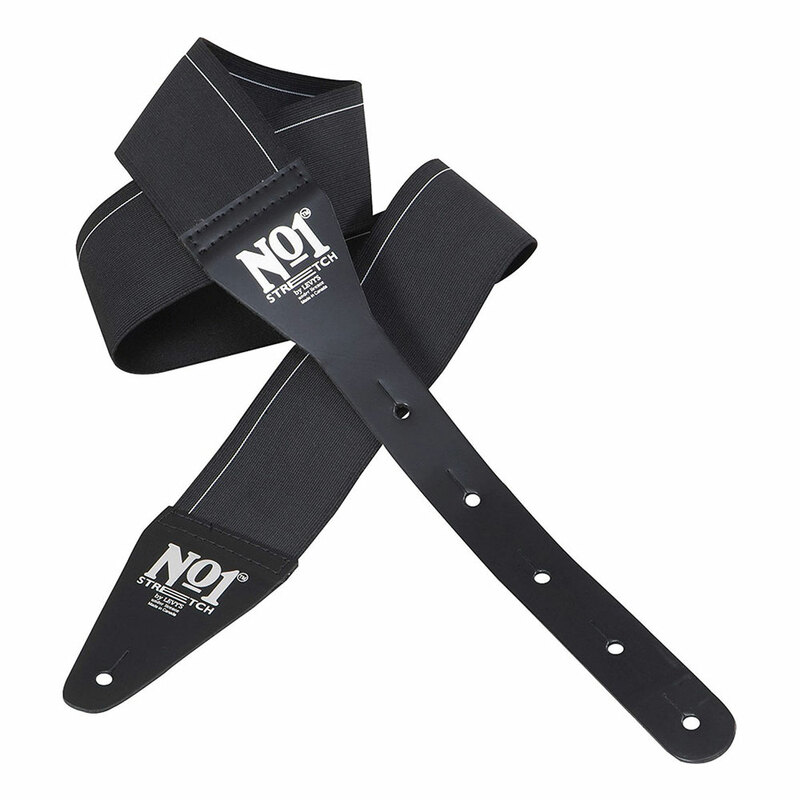 1 Stretch Guitar Strap has elastic and polyester webbing with just the right amount of stretch and strength and finished with leather ends. It is 2.5" wide and can be adjusted from 107 cm to 127 cm (42" to 50"). Suitable for use with strap locks and comes with a lace for tying on to an acoustic headstock.